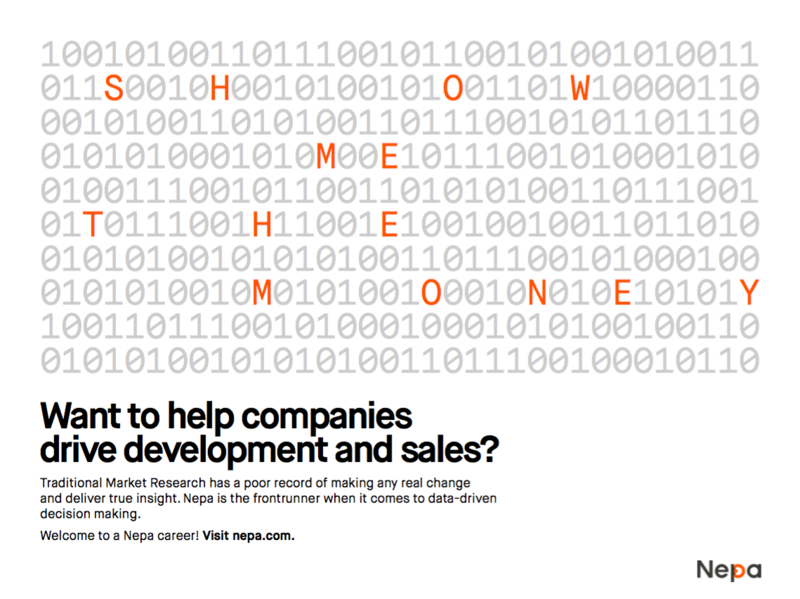 Nepa is the frontrunner when it comes to data-driven decision making. Our passion is to find the quickest path from consumer data to execution; we call it Consumer Science. We have ongoing assignments in over 50 countries across five continents with local presence in Denmark, Finland, India, Norway, Sweden (HQ), the UK and the US, serving some of the world´s strongest global brands. Nepa has been awarded the DI Gazelle award for organic fast growing companies in Sweden in 2011, 2012, 2013, 2014, 2015 and 2017.